This model is one of the most popular sellers being accepted by top stylists and veteran hairdressers world wide. Designed with an offset crane handle which allows for a comfortable cutting position. This shear has four plate springs to absorb the cutting shock under the beautiful orange Shippo pivot screw. The ball bearing tension system reduces friction allowing the shear to cut with power and detail. 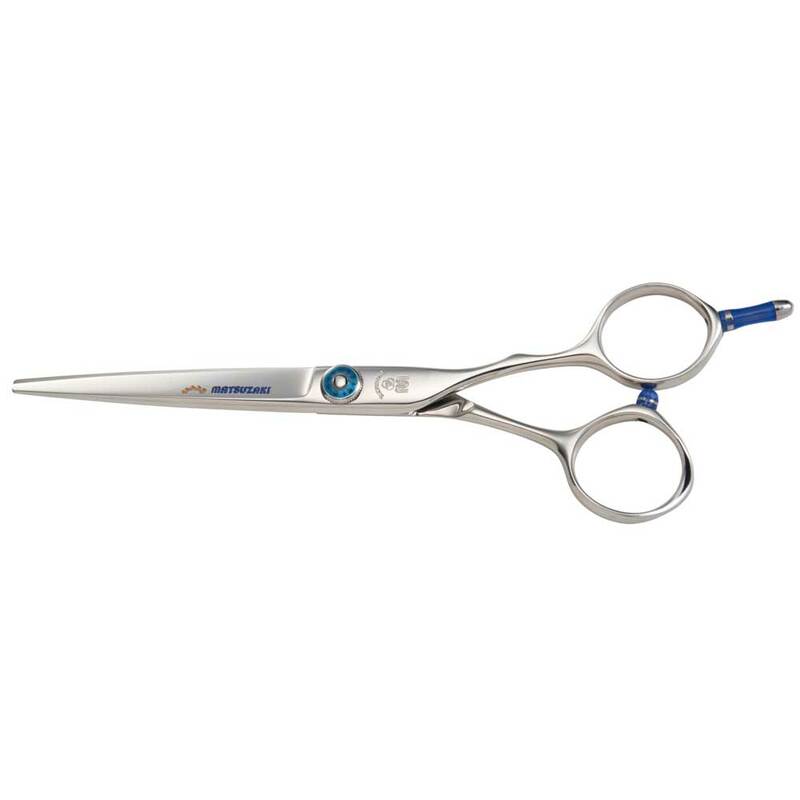 This model is made with Cobalt steel and is a 4-star quality shear designed and fitted with a ball bearing tension system, to reduce friction and lessen thumb pressure required to cut a section. It has a convex Hamaguri edge and is great for blunt cutting and very comfortable to use. 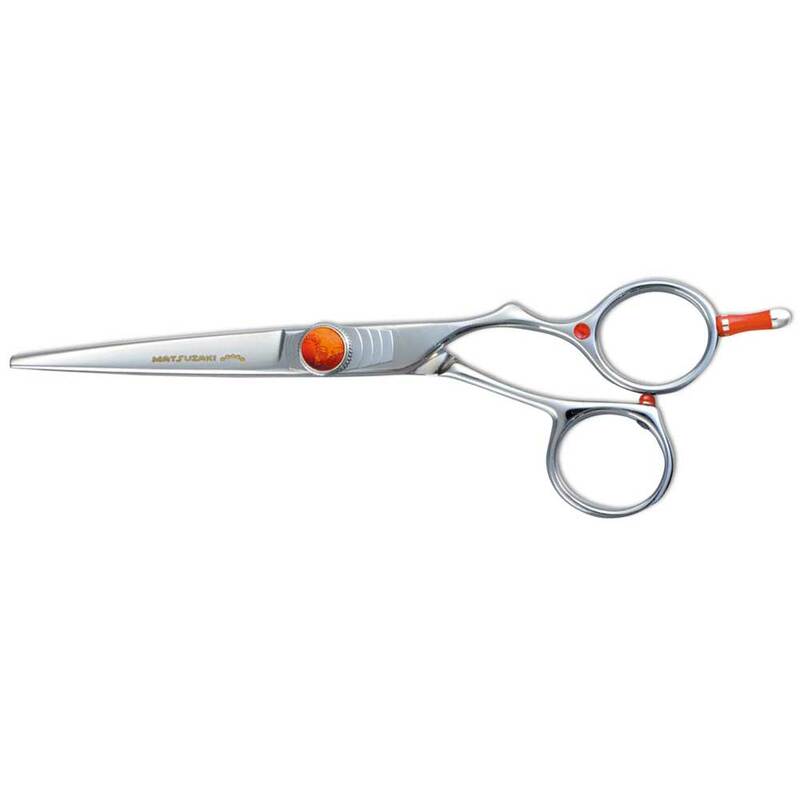 One of the best selling shears in the Matsuzaki line. 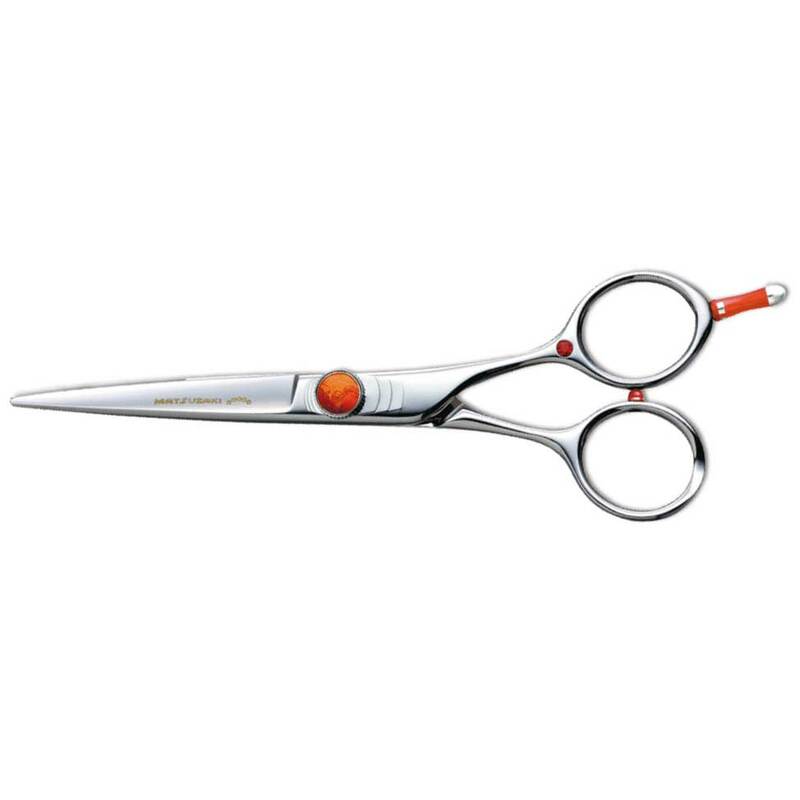 The VDS is a high quality multi-purpose shear of excellent quality. High Carbon Stainless Steel is a best sell and a great value in this price class. 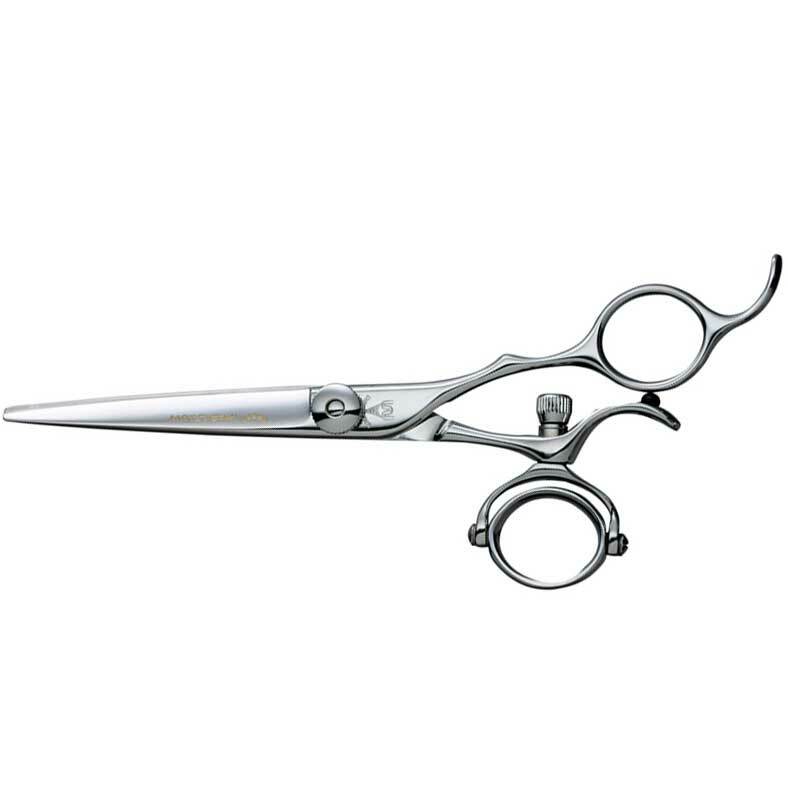 Offset handle has a shorter shank for the thumb for more control enabling the stylist to open the shear with less thumb movement. The finger hole is oval for better handling and balance. 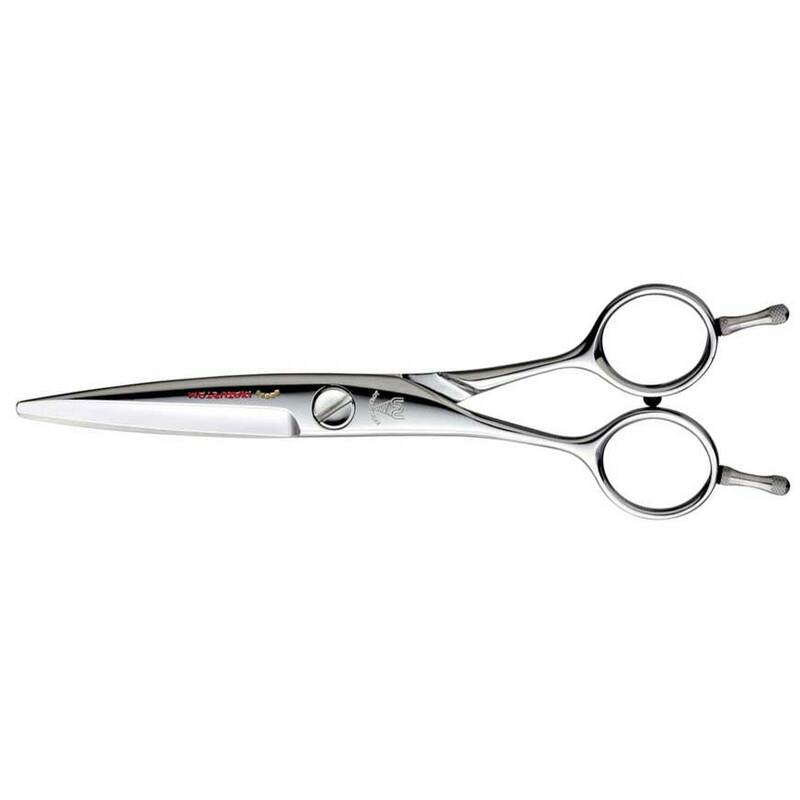 One of the longest selling scissors being with a great reputation with many stylists around the world with a very standard design.This shear features larger size finger rings, it can be used easily in active cutting techniques like strong cuts. 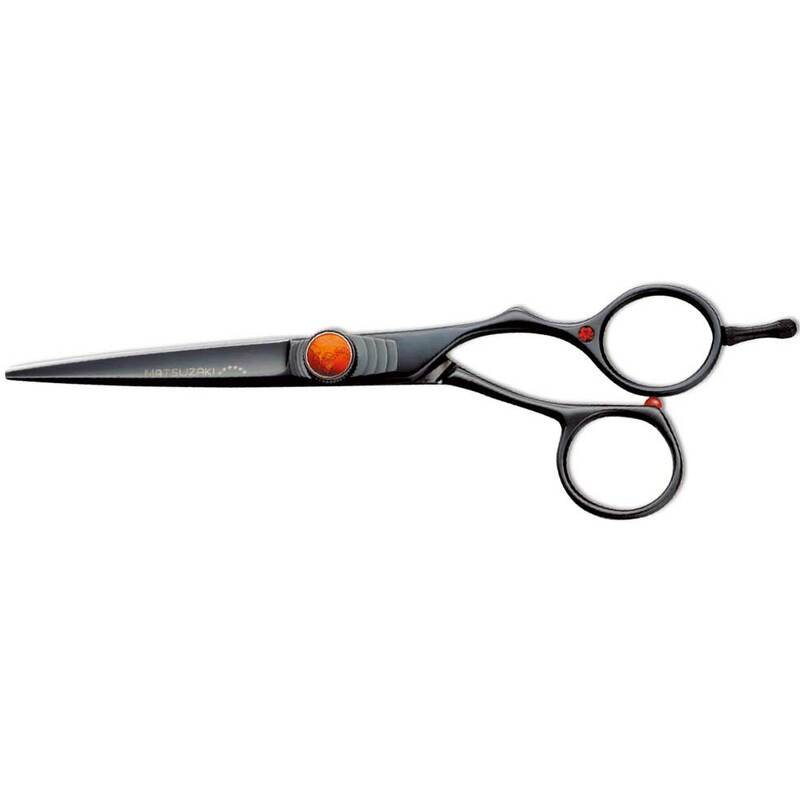 High quality shear at a reasonable price. 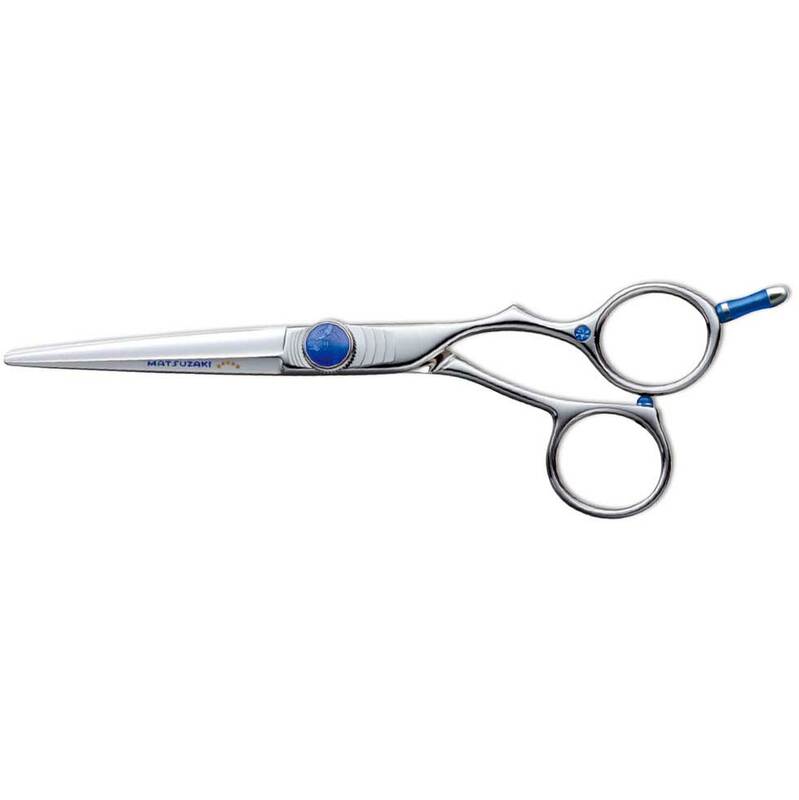 This model cuts with precision and is made with the finest cobalt steel. It is designed with a fuller Saber blade to aid the stylist when cutting thick or curly hair due to its strong cutting power. Its ball bearing tension control reduces friction to near zero, and four plate springs under the screw are used to absorb any cutting shock. Blue Shippou porcelain is applied to the cover of the tension control knob as a way to add elegance to this shear. 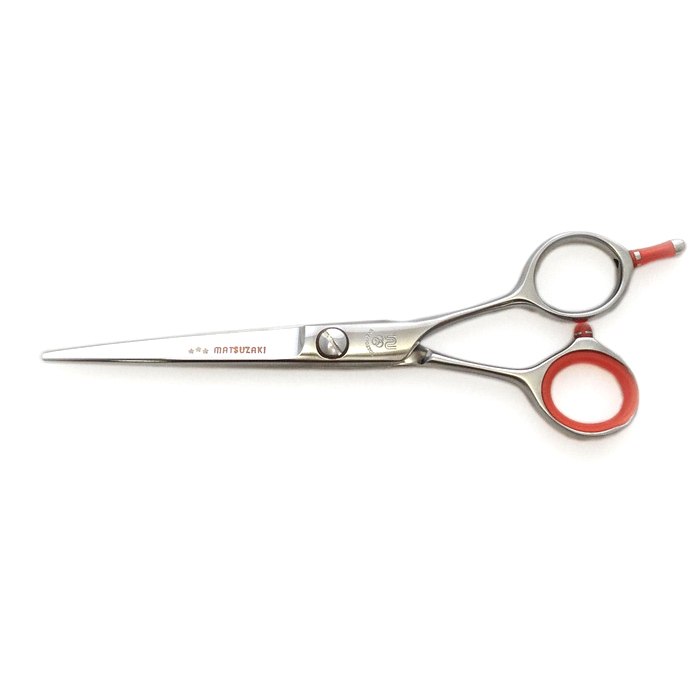 Very popular high grade shear similar to the VDS only the EDS has a straight handle. Designed with high grade Carbon Cobalt Steel with a convex edge this shear provides alot of power and high performance. The adjustable screw and ball bearing tension system gives smooth cuts with less effort. Once of the most accepted designs used world wide. 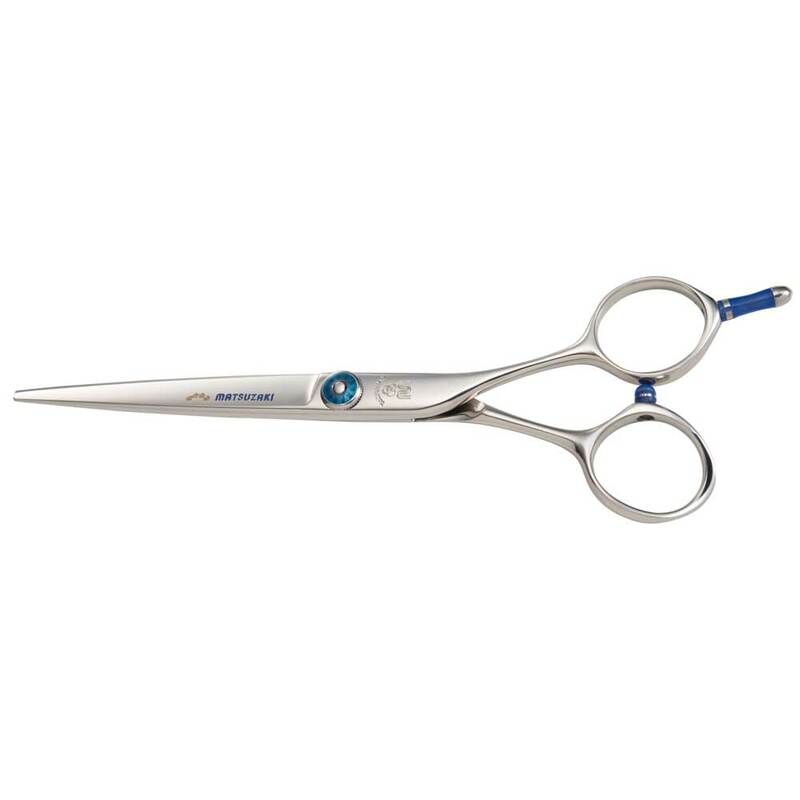 Featured swivel shear with a thumb ring which moves 360 degree vertically and horizontally. This makes hair cutting possible from any angle without stress on the elbow and wrist. Great shear for those with wrist or Carpal Tunnel Syndrome concerns. Includes three sized thumb rings for both 2 and 3-dimensional swivel. Designed with High Grade Cobalt Alloy steel for smooth effortless cutting. 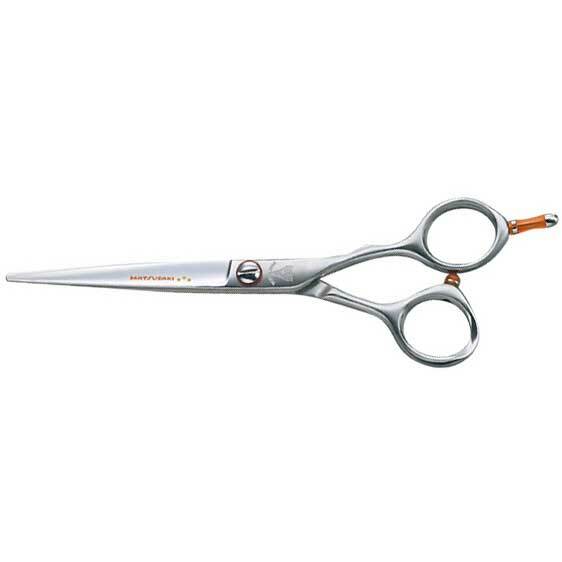 This model is one of top grade shears accepted by professional hairstylists worldwide. High quality cobalt containing raw material is used. The beautiful orange Shippou porcelain (heated by seven precious stones) is applied as the top cover of the pivot screw. Further, three plate springs under the pivot screw restrain cutting shock to the hands and reduce fatigue. 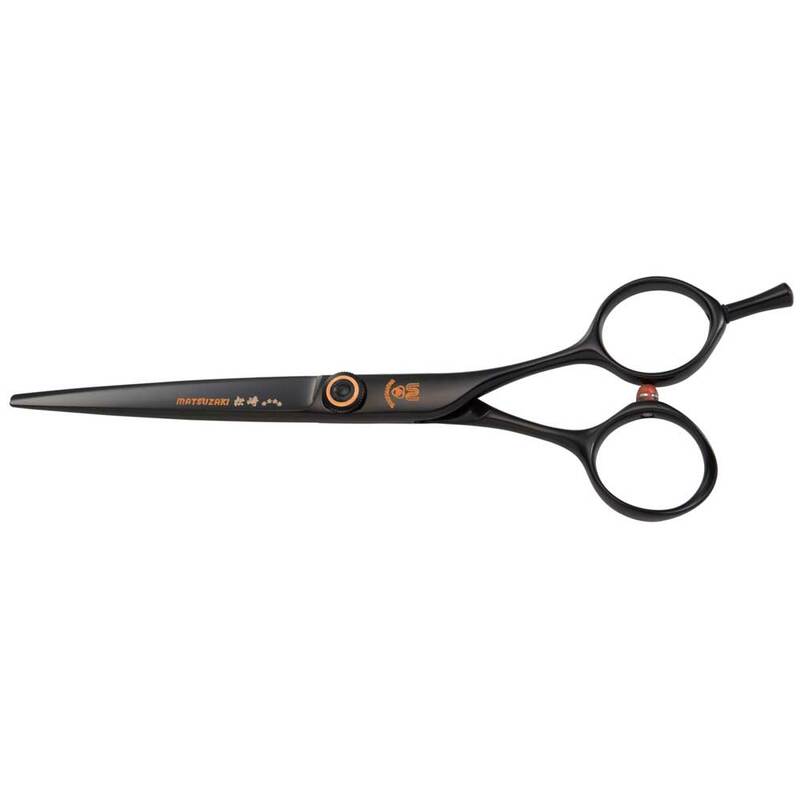 This is the most recommended shear. 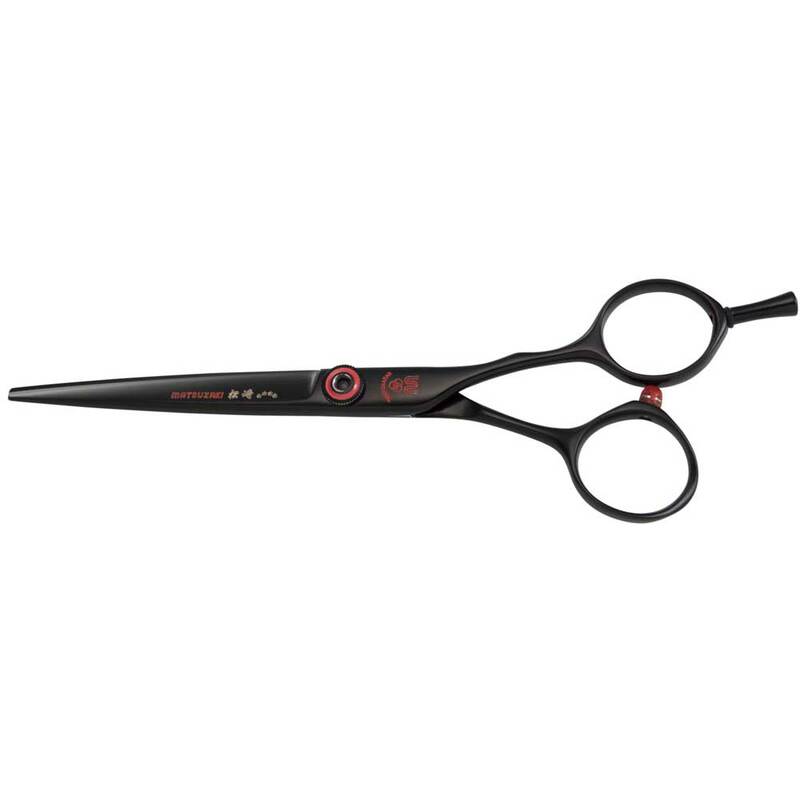 This model is a lightweight and slim cobalt alloy shear that is great for all types of cutting it has a black matte finish. It has a convex edge for smooth cutting. Tension control is designed with a ball bearing system that reduces friction and thumb pressure required to cut. SLB (Slim Line) has been best-seller not only in Japan but also in USA and Europe.